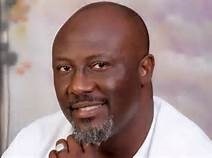 The Senator representing Kogi West Senatorial District, Dino Melaye, took to Twitter to mock the suspended Secretary to the Government of the Federation, Babachir Lawal. Senator Dino Melaye is at it again! Few days after a video of him mocking his supposed political enemies went viral, he has gone on Twitter to take a swipe at the suspended Secretary to the Government of the Federation, Babachir Lawal. The Presidency had on Wednesday suspended Lawal in connection with fraud in the award of contracts under the Presidential Initiative on North-East. Reacting with an “Aje Kun Iya” tweet, Melaye had posted in Yoruba, “Babachir Lawal. Aje ku iya nio je. Eni tio toni na ton dena deni, aje ku iya nio je. Ntoooooo“.